Meadow View Estates - The home features an open floor plan with large windows to capture and embrace the mountain atmosphere. Approximately 837 sq ft of living space on main level and loft. Bedroom on main level with family room, dining area, kitchen, bath and laundry. Loft has comfortable living space and is currently established as an additional sleeping space equipped with a Queen Bed. Sliding glass doors lead to a front deck and nice rear covered deck for outdoor enjoyment and entertaining. Detached shed for storing your mountain essentials. Lot is level and located in tall Ponderosa Pine. 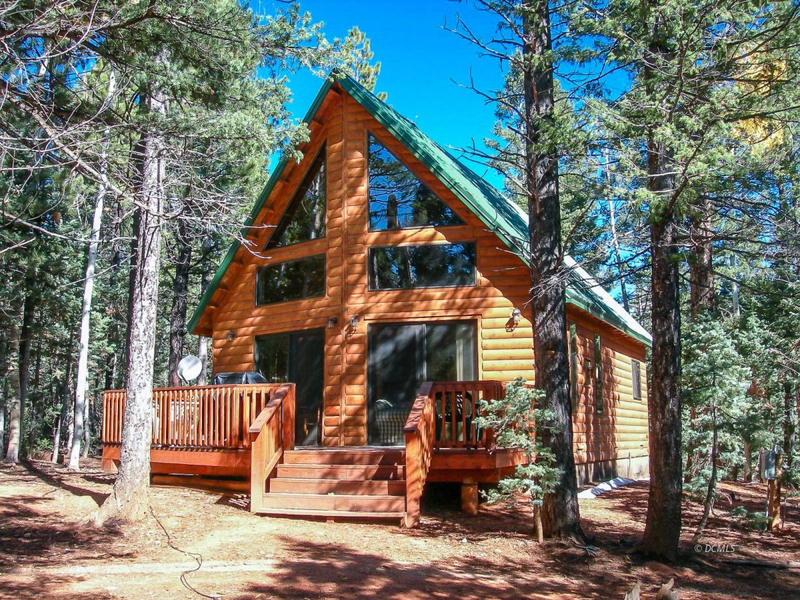 Property is nicely situated in the incredible forests and mountains of Southern Utah. Beautiful Parks surround area... Cedar Breaks, Zion National Park, Bryce Canyon. Canyon Lands, Lake Powell... Year round access and beautiful ATV and snowmobile trails out our door. Call today for showing.